On a snowy February morning, I drive down Dug Hill Road, Hurley, through bare trees and white fields, to the home of poet Gretchen Primack. She's just returned from Costa Rica, where, among other things, she's been working on her Spanish. I am greeted at the door by a brightly smiling Primack, two dogs, and more cats than I can count. The house is warmed by a magnificent wood stove and smells of the scones Primack is heating up for us. After a bit of preliminary conversation, and many pet introductions (I think I met the father of all cats, an ancient and brilliant orange creature rumored to run with coyotes), we sit down to scones, tea, and a discussion of Visiting Days, her collection of poems written from the perspective of incarcerated men, being released this month by Willow Books. Primack started her work behind bars with the Bard Prison Initiative, initially tutoring but quickly turning to teaching, and then working as the site coordinator for Eastern Correctional Facility in Napanoch, BPI's largest campus, and the one which offers a full BA program. Primack left in 2013, and is now at Shawangunk Correctional Facility in Wallkill, where she teaches creative writing. Visiting Days began to manifest during the transition between her work with BPI and SCF, as an organic method of processing. It has taken its final shape as a searing collection of direct and gripping poetry. Visiting Days falls perfectly between a bitter pill and a ray of hope. Its honesty leaves no room for evasion or misinterpretation, and its content is pressing and crucial. This is a collection of poems that will make you ache for humanity, and hopefully inspire you to take further steps to better it. During the course of my conversation with Primack, I learned a great deal about ways in which every community member can engage in improving the prison systems, gearing them toward betterment rather than psychological shaming. If you'd like to learn more about ways you can get involved, please email me at janevick07@gmail.com, and I will happily direct you to an organization that suits your intentions. Gretchen Primack will read from Visiting Days on April 13 at 5pm at the Woodstock Community Center. Jane Vick: Visiting Days is exceptional. It's the bitter medicine we need, and still so beautiful for all of its difficulty. When you started working in prisons, did you know a collection of poems was going to come out of it? 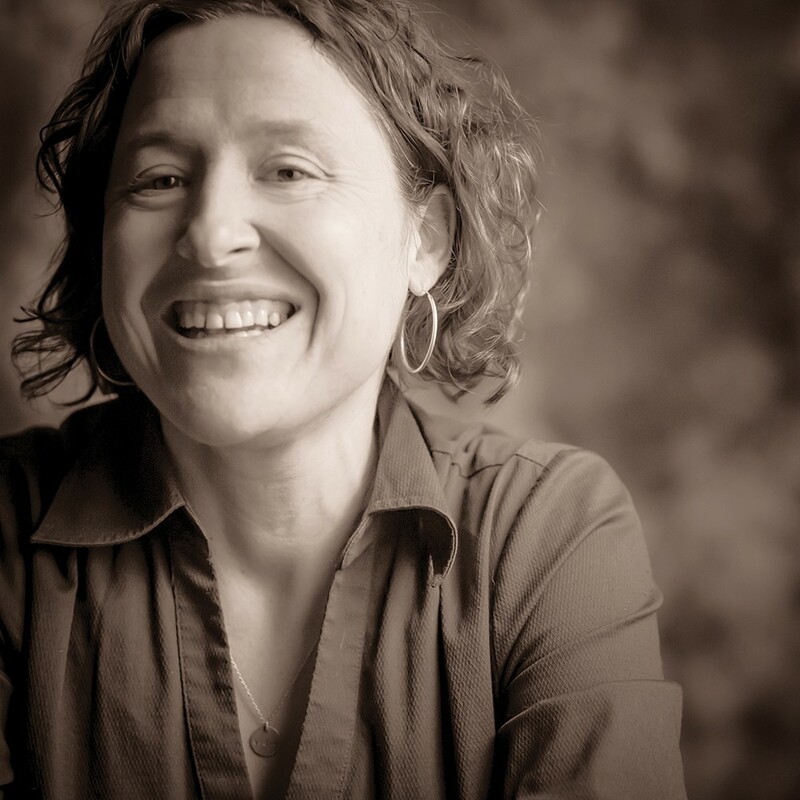 Gretchen Primack: When I started, I didn't think about writing at all. I didn't start this until I'd left BPI, and had a break from doing the work entirely. While I was there, people would ask me if I was writing about it, and I would say no, this is my work, it's not fodder for my own personal writing. But, when I left, they just started pouring out. And I do think it's important to address issues of incarceration in this country, through any media possible. That said, the urge to write about it was bigger than an analytical decision. They sort of, pushed out of me. GP: And I have a lot of friends who are now, or were formerly, incarcerated. JV: Really? As a result of this work? GP: Oh yeah. Because when they get out they contact me, and we get together. Not always, I mean, some of them might friend me on Facebook, but some of them, we get together, and they've become close friends. JV: That's wonderful. And as an ally for these men while they're in prison, how does the relationship after they're released unfold? GP: I'm an ally, yes, but it's on mutual terms, the way it is in any friendship. JV: Right, so it's a friendship. You're not the patron Saint of Incarcerated Men, or anything like that. There's mutual respect. You're not a benefactor. GP: Exactly. It's hey, you're a person, I'm a person, let's have lunch. JV: Right, I'll give you a scone and introduce you to my cats. That's so awesome. And it's another wonderful representation of what I notice in Visiting Days, which is the voice that you return to these men, in the face of the stripping of agency that these institutions very intentionally practice. You offer these people—I know these are fictional characters, but clearly grounded in very real experiences—the chance to reclaim their humanity. You rehumanize them.